Former vice presidential candidate and Republican darling Sarah Palin may run the Department of Veterans Affairs under the Trump administration, according to a new report by ABC News. The former governor of Alaska has been a fervent supporter of Donald Trump throughout his candidacy, drawing parallels between both politicians' ability to reach the Republican base with their populist rhetoric. 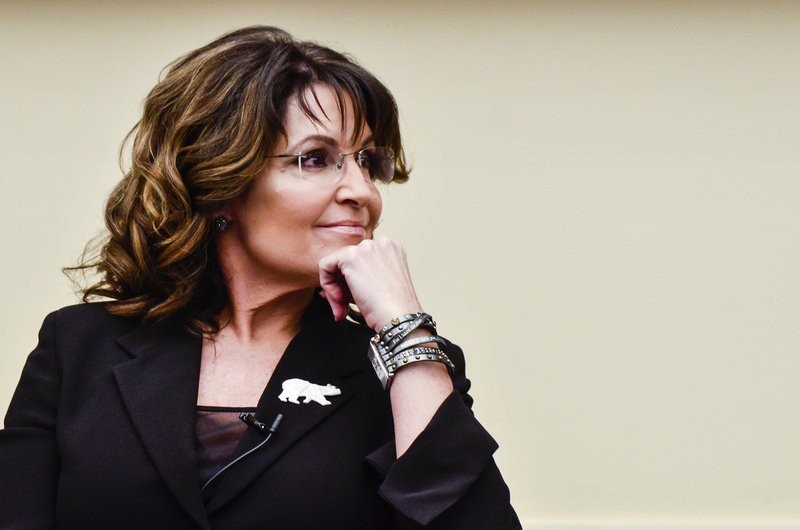 Rumors also swirled earlier this month about Palin as a potential Secretary of the Interior. As usual, this is a somewhat controversial option for Trump. Earlier this year at a Trump rally in Oklahoma, Palin blamed her son's domestic violence arrest on his post-traumatic stress disorder, inciting the outrage of veterans and mental health advocacy groups working to erase the stigma of veterans as dangerous and unstable. Palin also indirectly blamed President Obama for not engendering a society that displays more respect for veterans, which also drew ire from soldiers and advocates. "It's not President Obama's fault that Sarah Palin's son has PTSD," said Paul Rieckhoff, who heads Iraq and Afghanistan Veterans of America, a nonpartisan veterans advocacy group. "PTSD is a very serious problem, a complicated mental health injury and I would be extremely reluctant to blame any one person in particular." Despite her recent gaffe, Palin has endorsed some veteran-related policy proposals that would make her an attractive option to Republicans. At the 2015 Conservative Political Action Conference, Palin suggested that veterans receive vouchers for healthcare outside the VA system. “America hands over her sons and her daughters with the promise that they’re going to be taken care of,” Palin said. “We can’t wait for D.C. to fix their bureaucratic blunders. This bureaucracy is killing our vets. They wait for months, they wait for years to get treatment at the VA, and they’re losing hope.” She also mentioned expanding educational certification for skills learned during military service and creating a more permanent system for receiving benefits so that Congress less involved. If the Trump administration does offer her a position, Palin will have a lot of work on her hands. The VA has suffered from scandals and bad press in recent years, and the possibility of further military involvement in Syria under Trump's vague plans to combat ISIS means a new generation of veterans to care for. Palin's relative lack of experience and controversial comments could reduce her efficacy within and outside the bureaucracy, but Palin would at least have the added benefit of making Trump's Cabinet slightly more gender balanced.